People who have purchased Playing 4 Keeps™ playbooks are P4K Members. Members receive a PIN with their order confirmation. 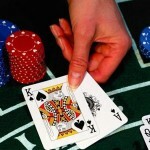 The P4K Members blog addresses questions for either craps or blackjack. Having the playbook is necessary in order to understand the questions and answers. Click on the thumbnail to open the log-in window.